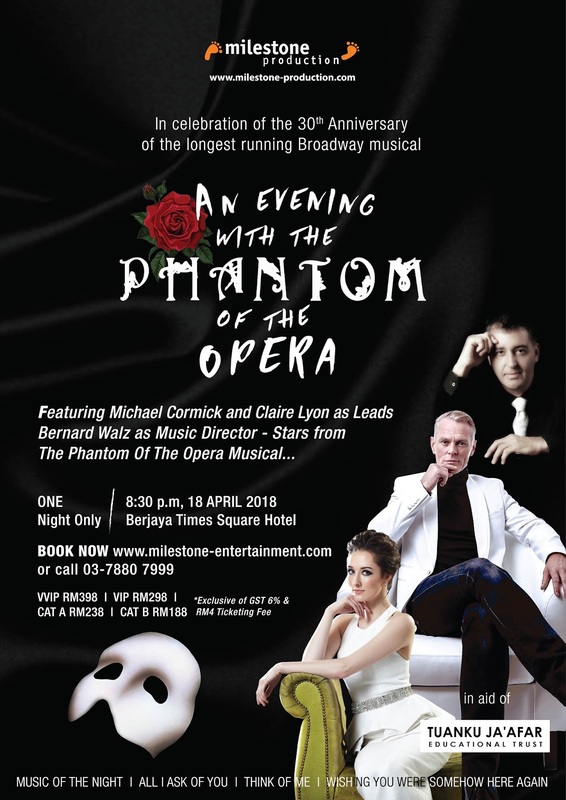 KUALA LUMPUR, April 2018 — Let’s indulge yourself in An Evening With The Phantom Of The Opera, a musical concert happening on April 18th at 8.30pm at the Manhattan Ballroom at Berjaya Times Square Hotel, Kuala Lumpur. Organized in conjunction with the iconic musical’s 30th anniversary on Broadway, sing along to classics from the musical such as the Phantom of The Opera, Music of The Night, Masquerade and All I Ask of You, in addition to songs from other musicals, as performed by two world-class theatre performers Michael Cormick and Claire Lyon, who have played the leading role of Raoul and Christine in previous productions of The Phantom of The Opera. Phantom Of The Opera is the longest running show in Broadway history by a wide margin, having just celebrated its 11,000th Broadway performance on 7th July 2014. The story charts a tale of romance and mystery as young soprano Christine is pit together in a love triangle with the titular Phantom and childhood sweetheart Raoul, the Vicomte de Chagny, at the Paris Opera House. Events and entertainment specialist Milestone Production is bringing 75 minutes of the show’s best songs— as well as other musicals—to you. 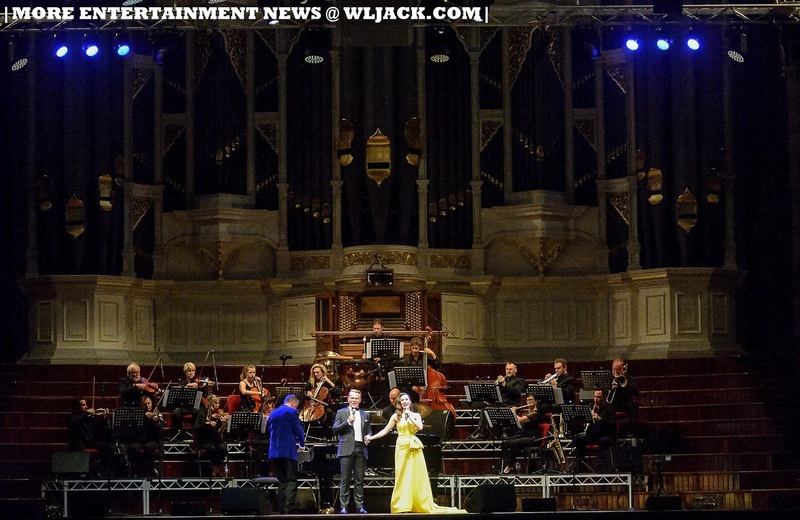 Leading the musical concert as the male singer is Michael Cormick, an internationally renowned singer and actor with a diverse career throughout Australia, the UK and Europe. Michael played the romantic lead of Raoul in the London West End production for three years and toured with “The Music of Andrew Lloyd Webber” as the principle cast singing Phantom’s songs. He has also stared in The Woman In White, Calamity Jane, Chess, Evita, Romeo & Juliet and more. Michael is also featured as a guest performer in the Royal Command performances in London and the opening of the Christmas Festival at Royal Albert Hall. Holding her own next to Michael is Claire Lyon, an Australian actress, singer and recording artiste, who has played the role of Christine in the World Tour of the musical from 2012-2015. She also continued the role in its standalone sequel ‘Love Never Dies’ for the Australian National Tour as both an understudy and a performer. 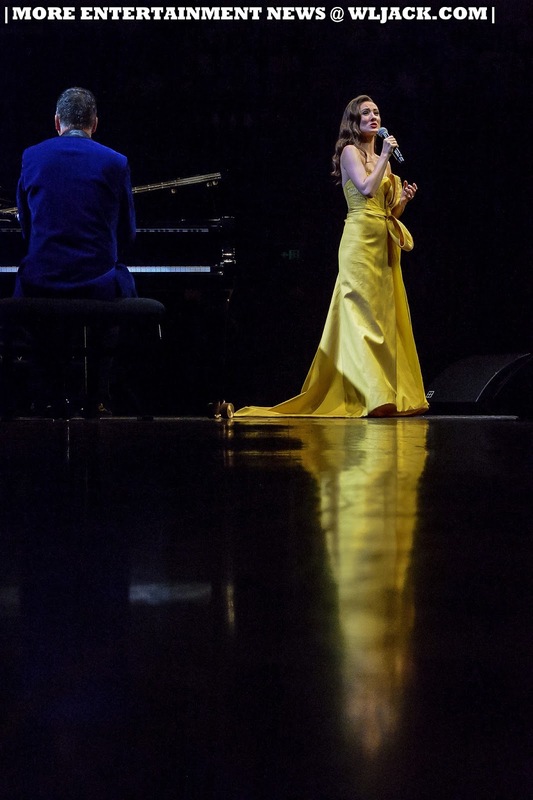 She toured Australia and New Zealand with international superstar Josh Groban as his guest artist for his World Tour 'Stages Live'. 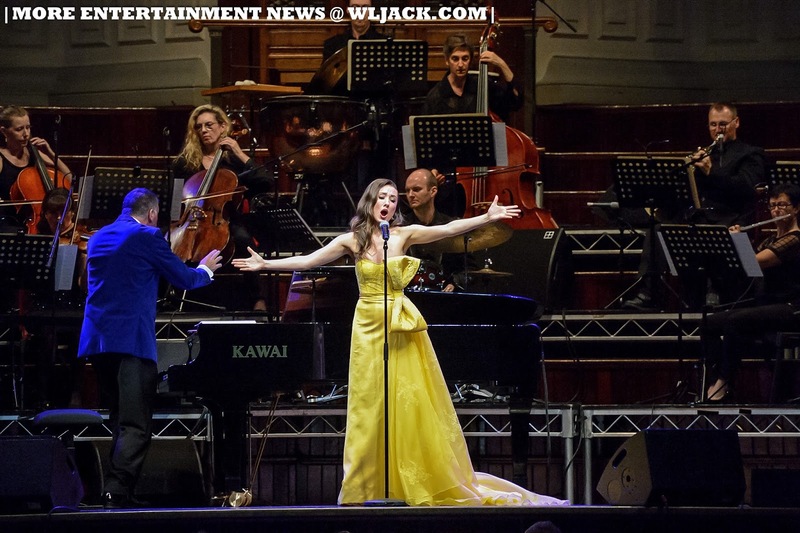 She has also recently performed in concert alongside Australian theatre legends David Hobson. Claire’s Australia credits include the lead role Mabel in the Broadway version of The Pirates of Penzance which earned her a Green Room Award nomination. These two gifted performers will belt out tunes under the leadership of Australian music director Bernard Walz. 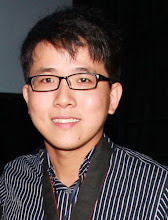 Bernard is a protégé of the late Dr Tommy Tycho and conducting student of the late Professor John Hopkins. Walz has even toured with the original Phantom, Michael Crawford, and has performed internationally for the past 25 years. A classically-trained pianist, Bernard’s concert and cabaret performances cross the boundaries between classical and popular genres. He is critically admired by his peers for his highly developed sense of theatre and engaging on-stage personality. Bernard will lead Michael, Claire and a local musical ensemble in crafting an unforgettable night. So get ready to lose yourself in the enthralling music of the night. Proudly presented by Milestone Production, tickets for this concert are now open for sale. Tickets for An Evening With The Phantom Of The Opera are priced at RM398 (VVIP), RM298 (VIP), RM238 (CAT A) and RM188 (CAT B). Ticket prices are not inclusive of 6% GST and RM4 ticketing fee. A portion of the proceeds from the ticket sales will be channeled to the Tuanku Ja’afar Educational Trust. Log on to www.milestone-entertainment.com or call 03-7932 1001. 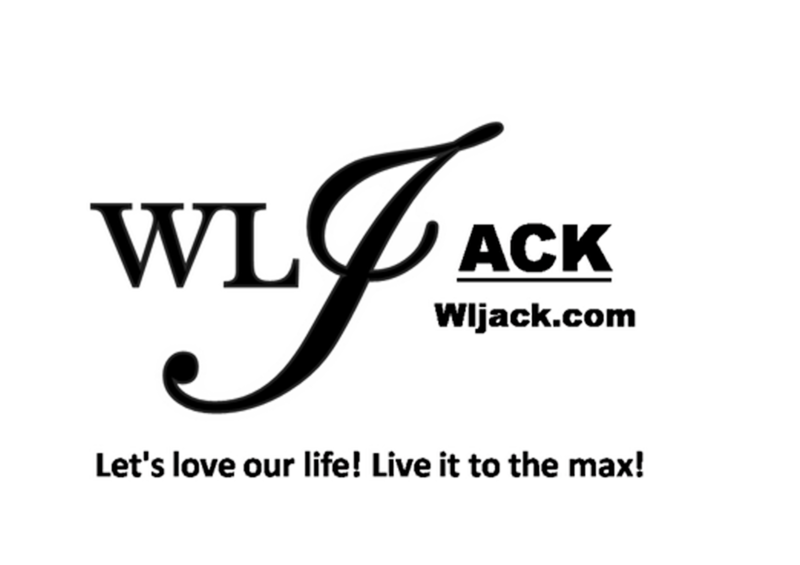 The event info is based on official press release issued to www.wljack.com .